COSTA MESA, CA--(Marketwired - Dec 7, 2015) - Smiley Wang-Ekvall, LLP today announced that the firm's co-founder and partner Lei Lei Wang Ekvall was selected by the Orange County Bankruptcy Forum (OCBF) as the recipient of the prestigious 2015 Hon. Peter M. Elliott Award. The award is given annually to a legal professional who demonstrates substantial knowledge of bankruptcy law, serves as a mentor or educator within the community, possesses the highest level of honesty, and works to enhance and improve access to justice. "Lei Lei is the living embodiment of the high standards of ethics, and someone who believes in the old-fashioned ideal of a lawyer -- a counselor, an advocate, and an officer of the court," said the Hon. Theodor C. Albert, United States Bankruptcy Judge, when presenting the award to Wang Ekvall at the Orange County Bankruptcy Forum's annual holiday event held on December 1. Wang Ekvall is dedicated to improving unrepresented debtors' access to justice. She has worked with the local bankruptcy judges, the Orange County Bar Association, and the Public Law Center to establish the chapter 7 pro bono debtors' clinic and the reaffirmation clinic, both of which continue to operate in the Santa Ana Division today. Recently, she was involved in bankruptcy training programs to educate attorneys affiliated with Legal Aid of Society of Orange County to enable them to provide pro bono or low-cost bankruptcy services. She is also a member of the board of directors of the Legal Aid Society of Orange County. "The qualities associated with the Hon. 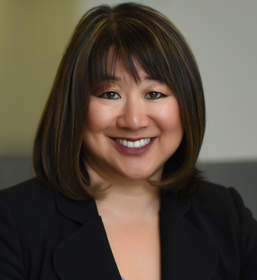 Peter M. Elliott Award: scholarship, leadership, integrity and service, have been consistently demonstrated by Lei Lei throughout her career," said Evan D. Smiley, partner at Smiley Wang-Ekvall. "We are pleased to see her acknowledged for her significant contributions made to the legal industry and for her leadership role in educational and pro bono activities that benefit the community." Wang Ekvall has served on the OCBF's board of directors for several years, including leading the organization as president in 2004-2005. She has also taken on leadership roles as president of the Orange County Bar Association, president of the Orange County Asian American Bar Association, and co-chair of the Central District of California Lawyer Representatives of the Ninth Circuit Judicial Conference. She is currently a member of the board of directors of the Orange County Bar Association Charitable Fund and the Legal Aid Society of Orange County. As a volunteer, Wang Ekvall has dedicated years of service to develop these organizations by planning educational programs, developing pro bono and other community programs, facilitating bench and bar relationships, and establishing mentoring opportunities and projects. She is a frequent speaker on the topic of bankruptcy law and receiverships and co-authored Bankruptcy for Businesses, published in April 2007 by Entrepreneur Media, Inc., and distributed by McGraw-Hill. Smiley Wang-Ekvall specializes in achieving unparalleled results for its clients in the areas of business litigation, real estate transactions, and bankruptcy and insolvency matters. The attorneys at Smiley Wang-Ekvall focus on consistently delivering strategic, effective and efficient representation to their clients. The firm combines the hands-on attention and cost-effectiveness of a small firm with the depth and breadth of knowledge and experience of a large firm. Headquartered in Costa Mesa and with an office in Los Angeles, Smiley Wang-Ekvall serves clients locally, regionally and nationwide. For more information, visit http://swelawfirm.com/.